It is impossible to envision Judy’s life before Tia. She exudes such positive energy; it’s easy to forget there was a time she was questioning if her spirit would win over her ailments. It was just a few years ago when she found herself not able to interact the same way with the world. She knew it was time to make a change! 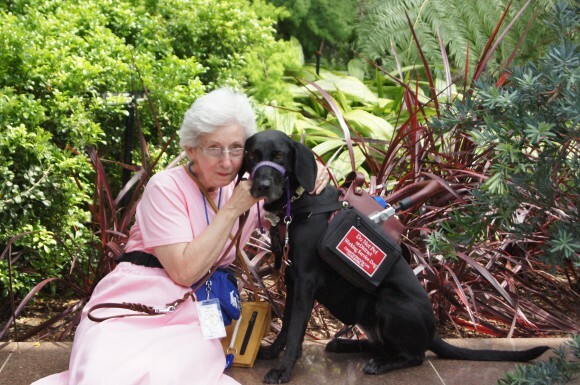 “I need a service dog now and not down the line!” Judy said as she applied to various service partner organizations. She didn’t know how long she would be able to function without assistance but her unwavering spirit wouldn’t let her take no for an answer. She read about Canine Partners for Life in the pages of a publication about Parkinson’s disease and decided to apply. She didn’t know it yet but her partner, Tia, was waiting in the wings. Judy first contacted our organization in November 2011 and she arrived for her in person interview in the spring. Judy was lucky, the wait was short. The next few months went quickly as she was enrolled to receive Tia in the summer 2012 Team Training class. For Judy the time on CPL’s campus for training were her first outings in quite a while. But the time had come, so she joined us with enthusiasm and focus. It was the first time she truly felt connected to a community in a long time and she was determined to make the most of it. Since graduation, Judy and Tia can now be seen spending their time out and about, in the community with neighbors, or possibly at Judy’s art club where she recently won an award. They explore just about any place that Tia and she can sniff out together that seems interesting. The adventures have continued and include a two day trip with Tia to Yellowstone National Park, evidence that Judy is not slowing down. There are times when it is necessary for Judy to rest and save her strength especially on long trips; those are the times when Tia steps in! Tia is there every night and has made it a custom to check on Judy in a way that comforts her and shows she is aware. Judy knows Tia is linked to her needs. Their incredible bond shows how a fully formed partnership brings many benefits. 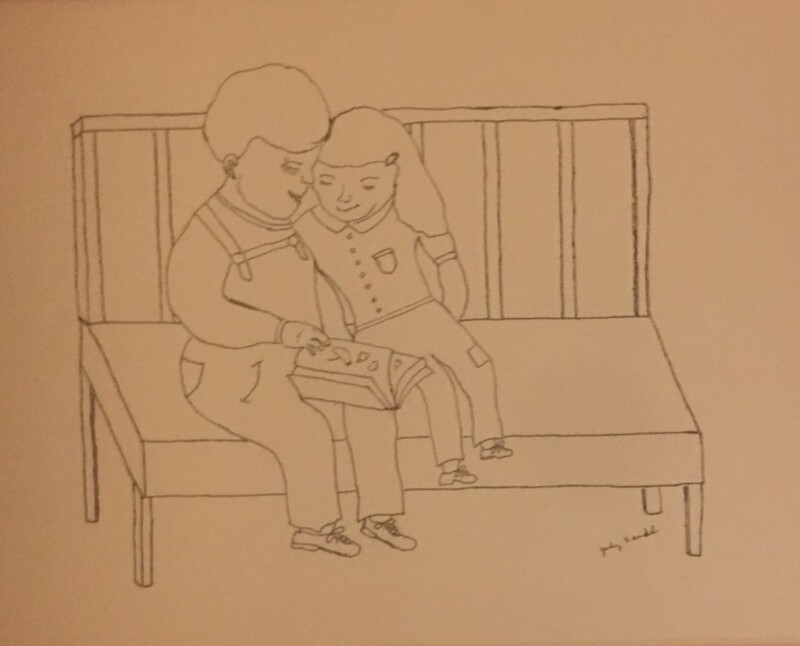 Like her award-winning pen and ink drawing which depicts she and a childhood friend who were inseparable – Judy smiles saying “with Tia I have that same inseparable bond – with her, all things are possible”.